. 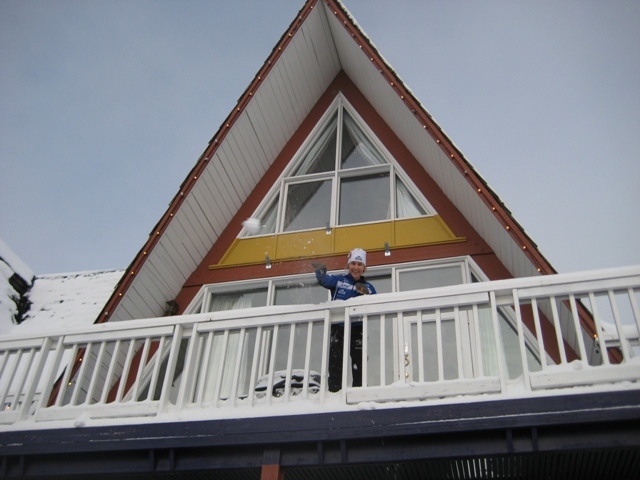 : Silver Star Update: Changing Places...Changing Races :: Ski XCOttawa.ca :: Skiing in Ottawa and Gatineau Park :. XC Ottawa has had an unusual start to the racing season. We thought things would get back to normal after our "on snow" camp was cancelled twice due to lack of snow at Montmorency, Quebec, but we were wrong! The weather has continued to play havoc with our planning. Cancelled due to lack of snow. Classic individual start distance changed to skate race because of lack of snow. 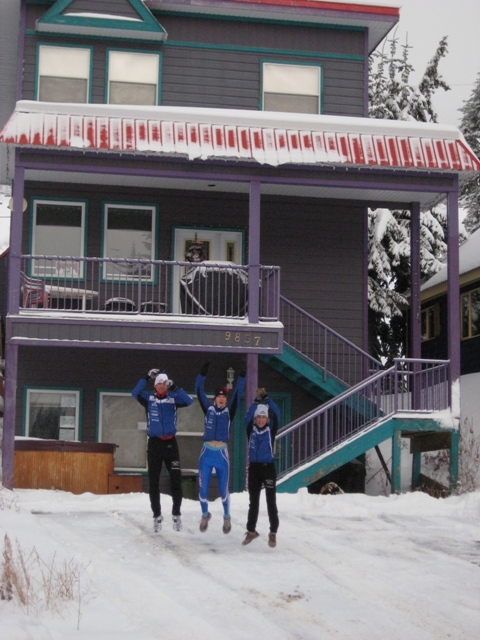 Moved to Sovereign Lakes (Dec 11, 12) and Silverstar (Dec 14) due to no snow on the race course in Callaghan Valley. The pursuit race was changed to mass start skate race. Hats off to the Sovereign Lakes crew and their volunteers for hosting two large racing events 2 weeks in a row! Haywood NorAM # 3 - schedule change. 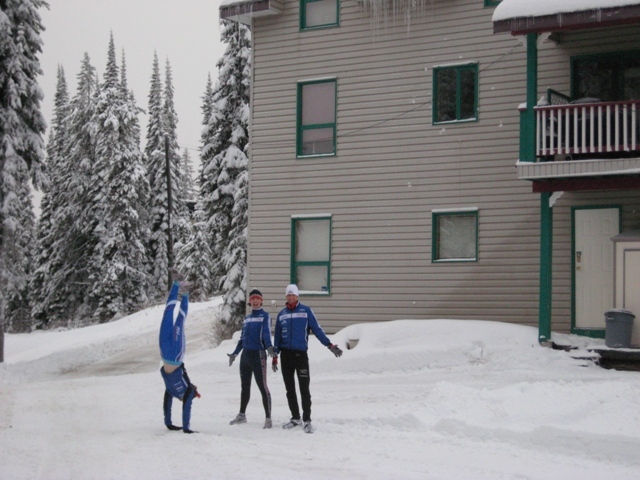 Silverstar was ruled out as a race site for the Dec 14 classic race. Sovereign Lakes will now host a night race December 13. Here is the updated race schedule. The race changes have meant scrambling to change flights, cancel, and find new accommodation for our team. 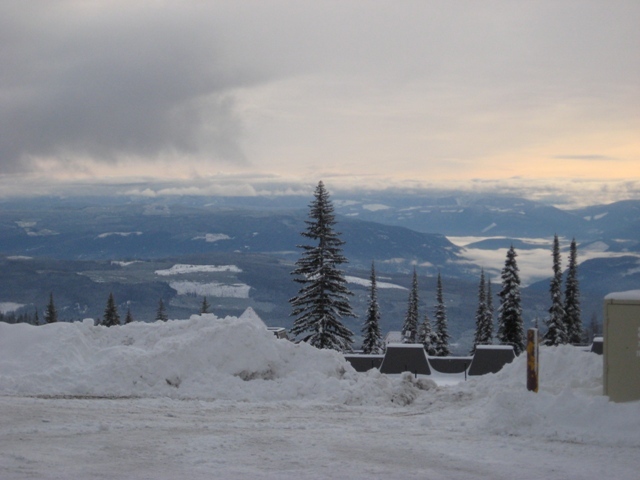 Luckily Silverstar Mountain has no shortage of great places to stay (and we are getting to know a lot of them!). Here are some of the places we've stayed in this short trip . . .
House #2 - we moved to the Abbot Suite because of some bed problems...it was great! John and Sheila joined us at this house. The view from our newest place. Race Report: XCOttawa.ca Scrapbook of Press Clippings. XC News: Chandra Crawford WINS Olympic GOLD! "Clean Oxygen Fed Sports Films"